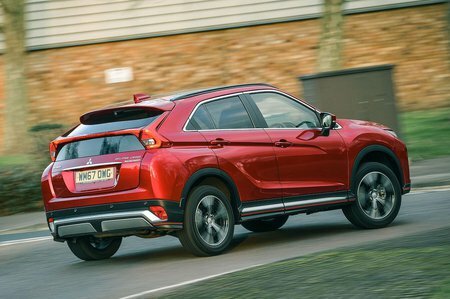 Mitsubishi Eclipse Cross 1.5 4 5dr CVT 4WD 2019 Review | What Car? Along with 3 trim’s equipment list, 4 adds a premium Rockford Fosgate sound system, a panoramic sunroof, LED headlights, a 360deg parking camera, leather seats, adaptive cruise control and more advanced safety aids. We’d save our money and stick to 3, though.